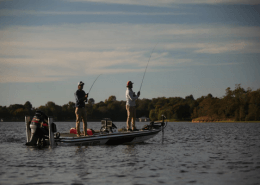 Whether you’re using an inflatable pontoon fishing boat, fishing float tubes or inflatable fishing kayak, you’ll be in need of an air pump to fill up the inflatable tubes. Of course you could always use an air compressor but often times these are limited to your ability to actually use the air compressor. 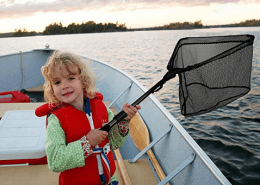 Of course you could fill up your inflatable fishing boat at home but then you would need to transport your fully inflated fishing boat from your house to your fishing location. With this taken into consideration many anglers often times opt to use an inflatable watercraft hand pump. These look very similar to your standard bicycle pump but they are smaller and more compact. Making them ideal for this exact purpose. You can easily store them away with the remainder of your fishing gear in your fishing tackle bag in case you need it in an emergency. If you’re an angler that chooses to use an inflatable watercraft then you’ll definitely be in need of an inflatable watercraft hand pump. 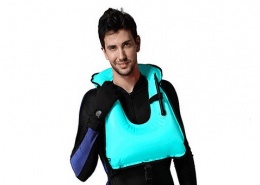 So now you may be wondering, “What is the best air pump for inflatable watercraft?” Lucky for you, were here to help. We’ve done the research so you don’t have to. Here are our picks of the best inflatable watercraft hand pumps for the money in 2019. Whether you are a seasonal professional or a casual weekend warrior, this incredible heavy-duty watercraft hand pump by Classic Accessories is ideal for any situation that requires fast, reliable watercraft inflation. Made of sturdy, non-corrosive plastic, you can rely on this pump to be dependable when you need it most, and a necessary addition to your inflatable watercraft gear. It pumps air on both up and down strokes for speedy recovery of air loss, and it features comfortable ergonomic handles for easy strokes to make inflation a breeze. The textured base offers slip-resistant support while its push-in hose-to-pump connection enables you to switch from inflation to deflation in just a few seconds. 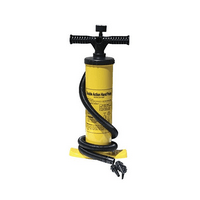 This handy air pump comes complete with a hose and three sizes of connection nozzles, making it perfect for use on most types of large inflatable watercraft. 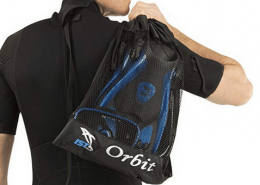 This is essential gear for your nautical excursions! Got air? Airhead does! The AHP-1 Airhead Hand Pump by Kwik-Tek is a handy double-action air pump that’s ideal for topping off towables when you need it most! It comes fully equipped with four universal valve fittings as well as an accordion-style hose that stretches to five feet long for ease of access in almost any situation. 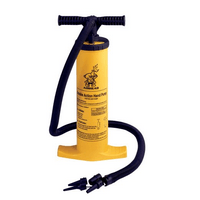 The hose has been constructed to interlock with the pump so that it does not fall off while in use. With a peak pressure of 14 PSI and a volume of two liters per stroke, this pump is essential for inflating and deflating towables, kayaks, boats, airbeds, and other inflatables. 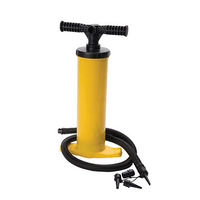 This double-action hand pump by industry leader Texsport was designed to be convenient and dependable for inflating and deflating all kinds of air mattresses. 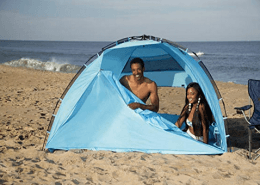 Known for constructing authentic adventure gear, this item is light and portable, and perfect for taking on the road or keeping close to home for those times when quick and easy inflation is needed. It features a footplate that makes pumping a breeze, and it even doubles as a bilge pump! Its flexible 4’6” non-kink hose won’t get in the way, and it features a valve adapter with four different nozzles. High-volume airflow on both up- and down-strokes makes this an extremely versatile piece of equipment that you’ll want to have with you each and every time! This is a great inflatable boat air pump. When shopping for a hand pump, durability is a must. 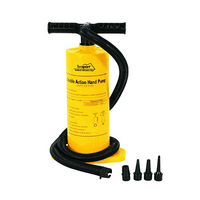 This double-action pump by industry leader Advanced Elements is designed to work seamlessly with karaks and other inflatables. Completely equipped with multiple adapters, this high-flow pump will work with many types of valves and includes Advanced Elements’ signature Spring Valve Adapter. The pressure gauge is incredibly helpful in ensuring that you are able to inflate to the ideal pressure level for optimum performance each and every time. 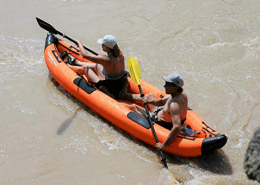 It’s one of the best inflatable air pumps for inflatable boats. 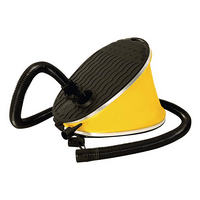 This handy device allows you to inflate or deflate towables, boats, and other inflatables using your foot! Its compact design is perfect for inclusion among your essential gear, and it features a hose measuring 54” for ease of execution. 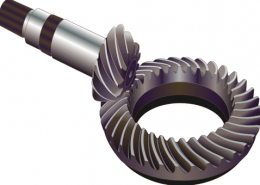 It includes three different adapters which enable you to use it on a variety of valve types including Boston and stem. 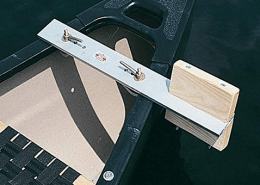 Due to its size and collapsible bellows design, it is easily stored underneath boat seats and kayak decks. 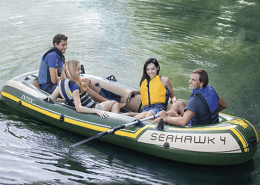 With a maximum air pressure of 2.2 PSI and air displacement per stroke of 0.5 liters, you can rest assured that your inflatable watercraft will be inflated to a nice and firm level!